So, it may not seem like much, reaching 100 followers, especially when you think of the thousands or millions that follow other sponsored pages on social media sites, like Facebook. 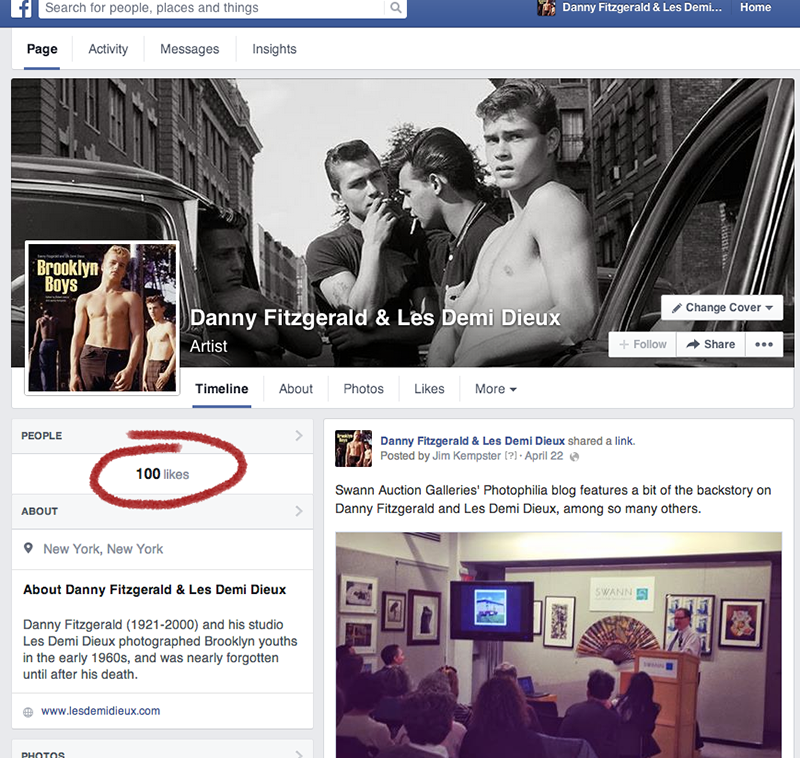 But we’re proud to boast that the Facebook page for Danny Fitzgerald and Les Demi Dieux reached its 100th “liker,” or follower, yesterday. That’s right, organically, without paying Facebook to “boost” the page’s reach or to advertise the page. We hope you’ll help us keep the organic growth going by liking, following, and sharing the page with other like-minded friends and photo enthusiasts. You can visit us on Facebook at facebook.com/lesdemidieux. We shared the back story on Danny Fitzgerald and Les Demi Dieux with the folks at Swann Auction Galleries, and it appeared on their Photophilia blog back in November. The story continues to intrigue those who care about Fitzgerald’s photography, especially those who also enjoy tales of lost photos rediscovered. Read the post. Swann Auction Galleries, located at 104 East 25th Street in New York City, between Park and Lexington Avenues, is one of the most prestigious photography, prints, and rare books auction houses in the world. Their expertise and love of photography continues to inspire and inform us. Several friends mentioned to us that they had seen a nice stack of Brooklyn Boys on the second floor of Strand Books, New York City booklovers’ trove for bargain and rare publications. So we stopped in on our way home and found our monograph on Danny Fitzgerald and Les Demi Dieux in good company with George Platt Lynes, Tom of Finland, Bruce Bellas and many others. 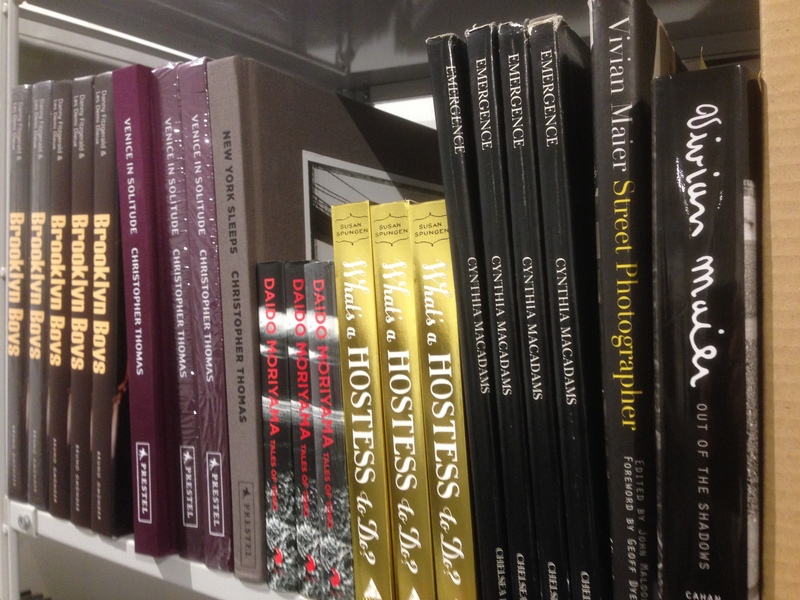 Stop by the Strand for a taste of New York and your own copy of the book. The Strand is located at the corner of 12th Street and Broadway in the heart of the Village. 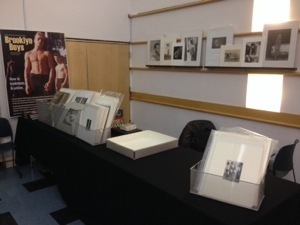 The NY Photo Show has opened. Come see us today and tomorrow. Tonight, we were at the Lighthouse on 59th Street between Park and Lex, setting up the BigKugels Photographic booth for tomorrow’s NY Photo Show. As you can see, Brooklyn Boys is well represented. Bring your copy of the book and get it signed, or buy a signed copy at the show! As you can see, there are plenty of photos to peruse as well, so join us! 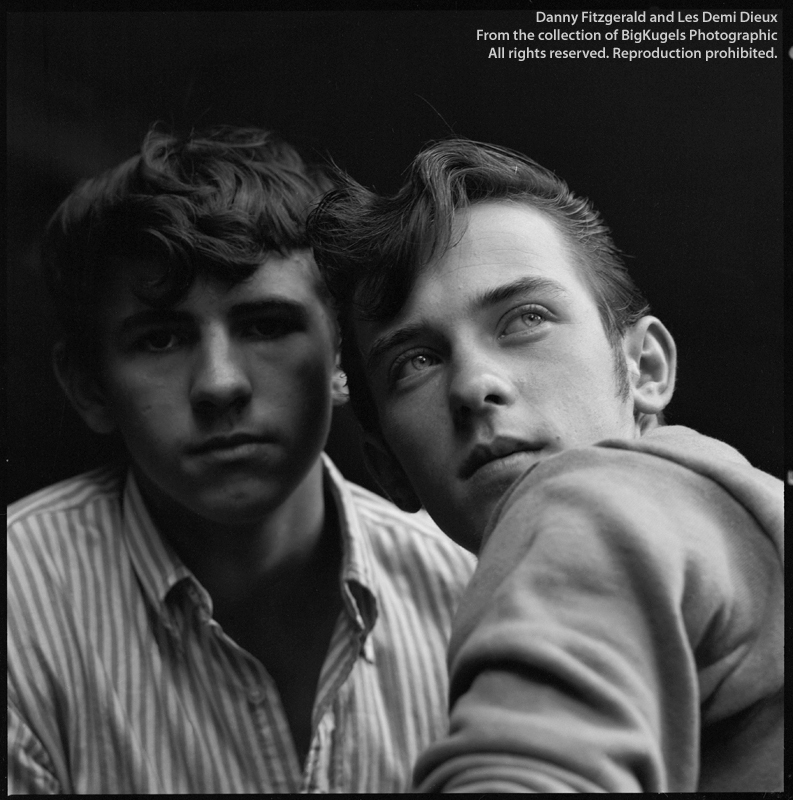 BigKugels Photographic will have signed copies of their book Brooklyn Boys: Danny Fitzgerald & Les Demi Dieux, as well as several of Fitzgerald’s vintage photographs, at the annual New York Photo Show at the Lighthouse, April 11th and 12th. Come meet “the guys” of BigKugels Photographic who wrote and edited the recently released 160-page fine art book on Fitzgerald’s work, at the fastest growing multi-exhibitor spring photography show in New York. Bring your copy of Brooklyn Boys to have it signed, or purchase a signed copy at the show. You may also peruse a selection of 8-by-10 and 11-by-14-inch vintage prints that will not be available in at AIPAD. The two-day NY Photo Show takes place at the Lighthouse Conference Center, located at 111 East 59th Street, in New York City, between Park and Lexington Avenues. 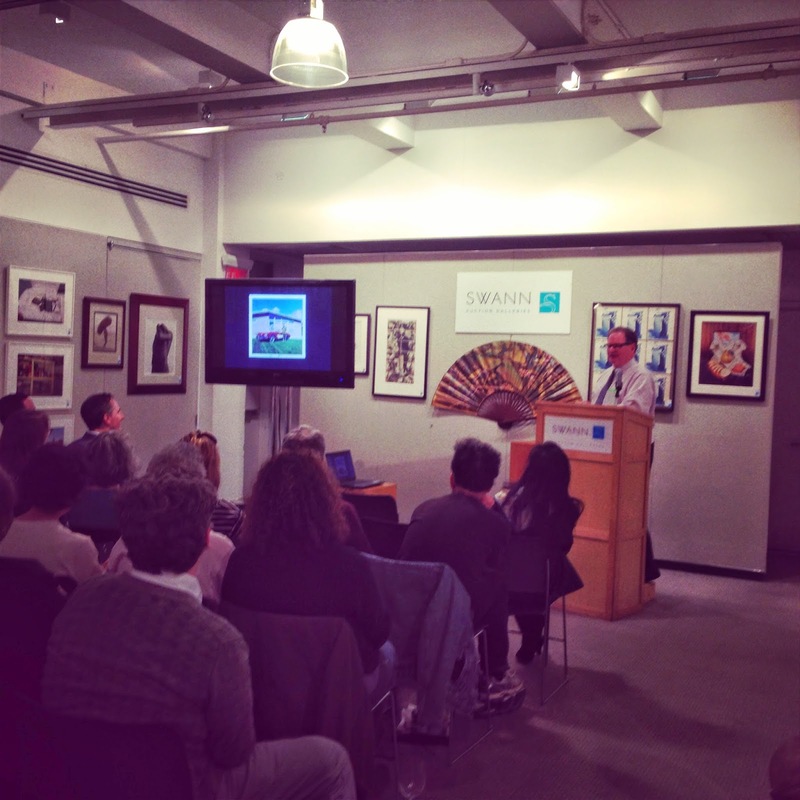 To learn more about the the NY Photo Show, visit usphotoshows.com. The Steven Kasher Gallery will feature works by Danny Fitzgerald and Les Demi Dieux at The Association of International Photography Art Dealers’ annual photography show at the Park Avenue Armory, April 10th to 13th. The AIPAD show is one of the most prestigious photography events in the world, and we are proud to have Fitzgerald represented there. The Park Avenue Armory is located at 643 Park Avenue in New York, between 66th and 67th Streets. For more information on AIPAD and its exhibitors, visit aipad.com. 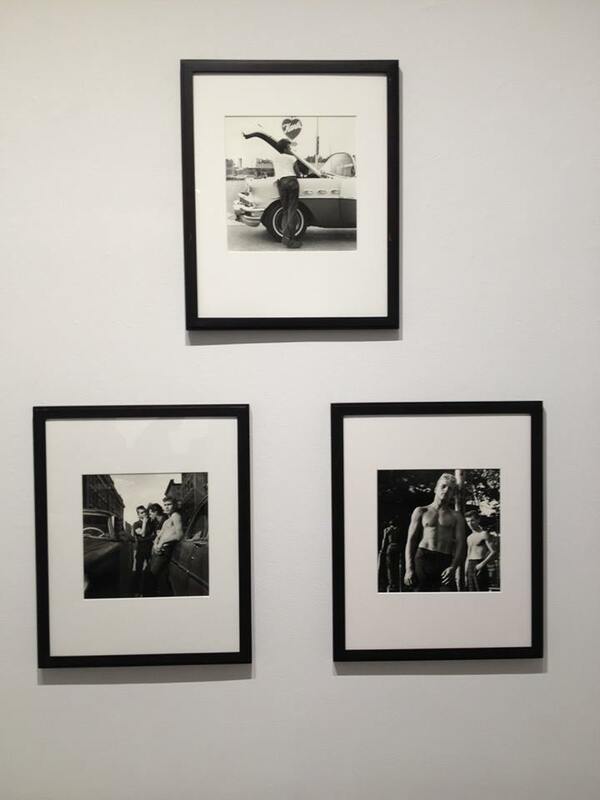 And don’t miss Brooklyn Boys at the NY Photo Show, which is happening concurrently with AIPAD. This is the last in a series of excerpts from the biographical introduction to Brooklyn Boys, the new monograph on Danny Fitzgerald and Les Demi Dieux. The opening and book signing is tonight, Thursday, December 12, 2013, from 6 to 8 p.m. at the Steven Kasher Gallery. And here’s a first look at three of the photos in the exhibit already mounted. Can’t wait to see the exhibit tonight! We love seeing the book on the shelves. Can’t wait to see the photos on the walls. Brooklyn Boys: Danny Fitzgerald and Les Demi Dieux the book is on the shelves at Steven Kasher Gallery, ready for tomorrow night’s exhibit opening and book signing. Please join us at the gallery, at 521 West 23rd Street, from 6 to 8 p.m. The photographer’s model, muse, business and life partner Richard Bennett will be on hand with us to sign copies. A selection of more than two dozen images will be on exhibit at the gallery from December 12th to January 18th.